Buying & Pricing Misc. Services Entertainment, Etc. 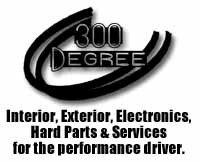 300 Degree - Creators of new Z32 parts. We are not a reseller, we are a research and design company creating 'one-off' parts for custom Z applications through mass produced parts for all Z32 enthusiasts to enjoy. From the simple Brake MC Brace to the complex nProbe monitoring/diagnostics/datalogging device. Visit our website or e-mail sales@300degree.com us for details. Courtesy Nissan of Texas, one of ten designated Z Stores nationwide and the nation's leader in Nissan accessory sales - seven years in a row, offers the largest selection of Z parts, accessories, apparel, and gift items for the Z enthusiast. Easy Online shopping and worldwide shipping combined with a factory backed nationwide warranty on genuine Nissan parts and accessories makes CourtesyParts.com the premier online Z Store destination. Hours: 7-7 M-F, 8:30-5 Sat. 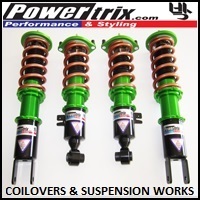 Parts direct line: 972.644.3942 Toll free: 800.527.1909 Fax: 972.234.4924 E-Mail: sales@courtesyparts.com. PakShak is the exclusive importer/distributor for MicroPak microfiber detailing supplies. Located in Honolulu and owned by Ranney and Rinney Pak, PakShak.com is your one stop shop for all types of microfiber towels and considers customer service its #1 priority. Each MicroPak towel is extra-plush with over 100,000 fibers per square inch. PakShak offers an average 40% discount off of retail prices for all items in their inventory for TwinTurbo.NET members. If you choose to order online, make sure you enter Promotion Code 300ZX on the order form. Ranney will confirm your total price with discount included. Contact PakShak by email: ranney@pakshak.com or by phone: 808-783-6006. Car Stereo Help "We know Bose!" Category: Dealers Classified Auctions & Salvage Manufacturers Suppliers Repair Radar Exterior Interior Race Sanction Race Schools Race Tracks Personal Sites Z-Dedicated Sites Reference Magazines Buyer's Guides Services Games, Etc. Thanks to Joe (Ft. Laud) for compiling the orignal 300 link list.